Creating the agenda to succeed, together. 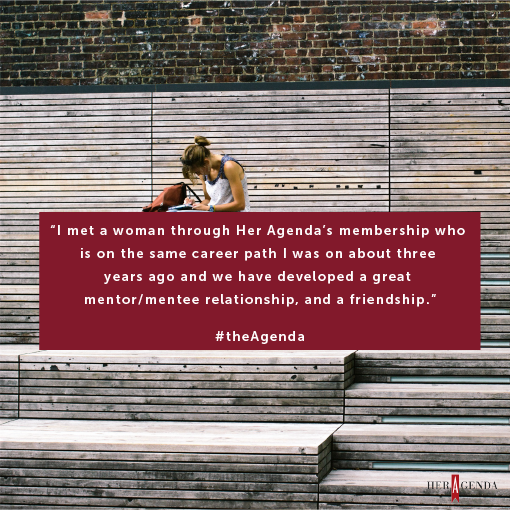 Her Agenda is using the power of our community to bridge the gap between ambition and achievement. ACCESS EXCLUSIVE CONTENT, AND RESOURCES NOT AVAILABLE TO THE PUBLIC. THIS INCLUDES BEHIND THE SCENES MOMENTS, RAW AUDIO FROM INTERVIEWS WITH OUR POWER WOMEN, AND EXCLUSIVE EXCERPTS. 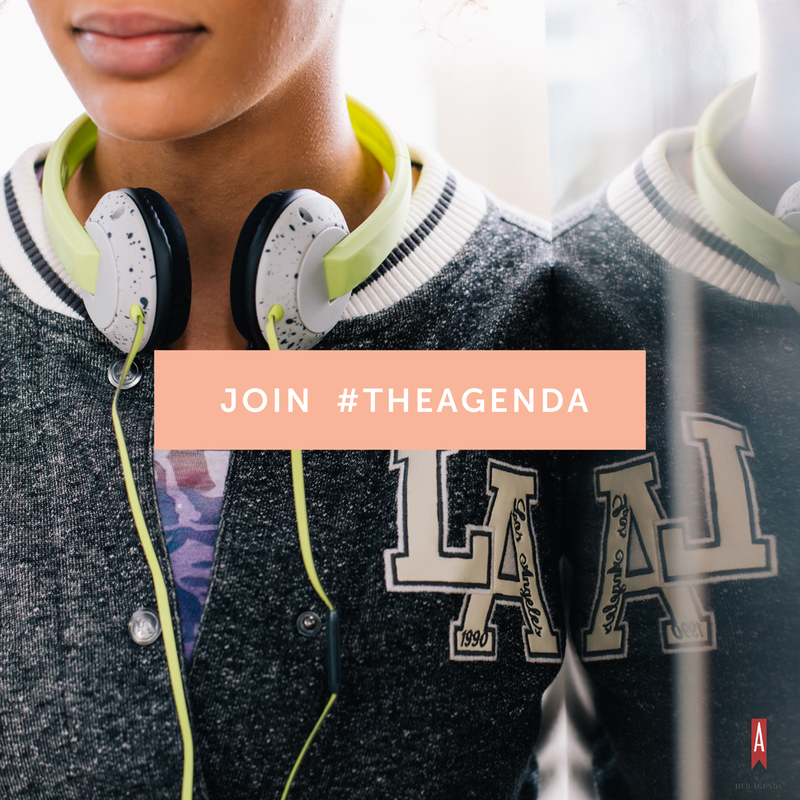 HER AGENDA INSIDERS SHARE ADVICE, DISCUSS PROBLEMS WE FACE IN THE WORKFORCE AND SOLVE THEM — IN REAL TIME. 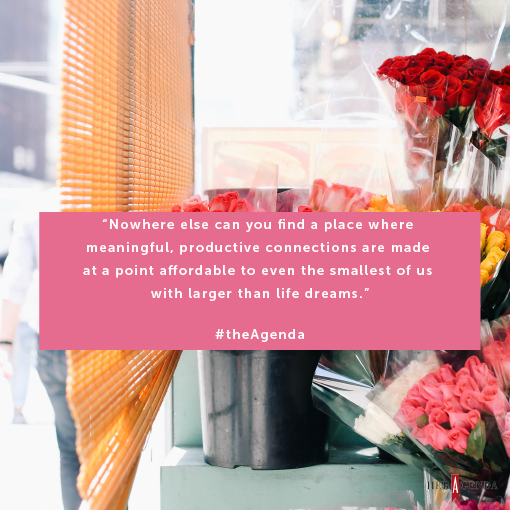 YOU GET ACCESS TO A LIVE, CONSTANT STREAM OF JOB OPPORTUNITIES AND NATION-WIDE EVENTS (AS YOU WISH TO BE NOTIFIED) COUPLED WITH THE ABILITY TO CONNECT DIRECTLY WITH WOMEN IN YOUR CITY OR TOWN. 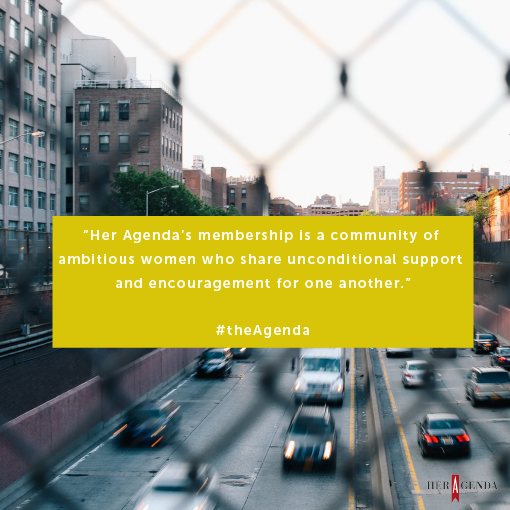 HER AGENDA INSIDERS ARE A GROUP OF AMBITIOUS WOMEN FROM AROUND THE WORLD, WHO ARE WORKING TO PUSH EACH OTHER TOWARD THEIR GOALS. NOTIFICATIONS AND ACCESS TO EXCLUSIVE CAREER RESOURCES AND OPPORTUNITIES YOU WON'T FIND ANYWHERE ELSE. 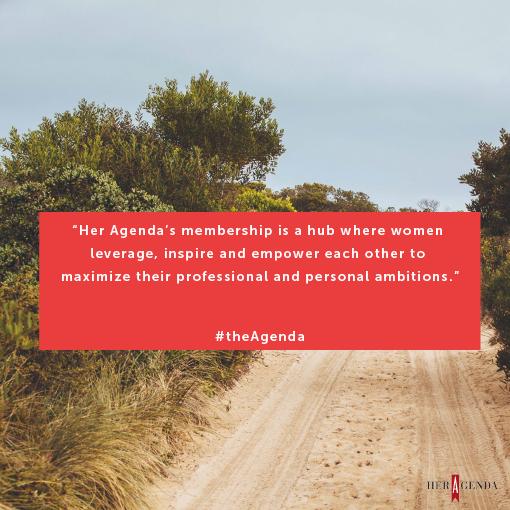 Her Agenda Insiders are a diverse community of women and connecting them with the right opportunities. - Access to a network of ambitious millennial women from various industries and from across the United States. -Bi-weekly career chats with high-profile women. You can ask them anything and chats take place in a private channel to encourage in-depth responses and conversations that help you to move forward in your career by getting the answers you need. 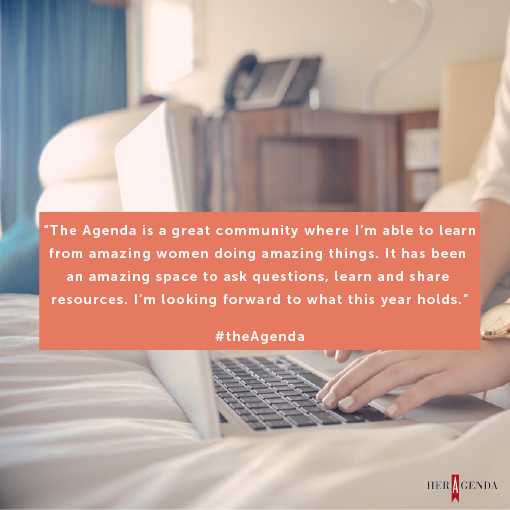 - Discounts for professional events/conferences including 50% off all Her Agenda events and 24/7 access to Her Agenda team.